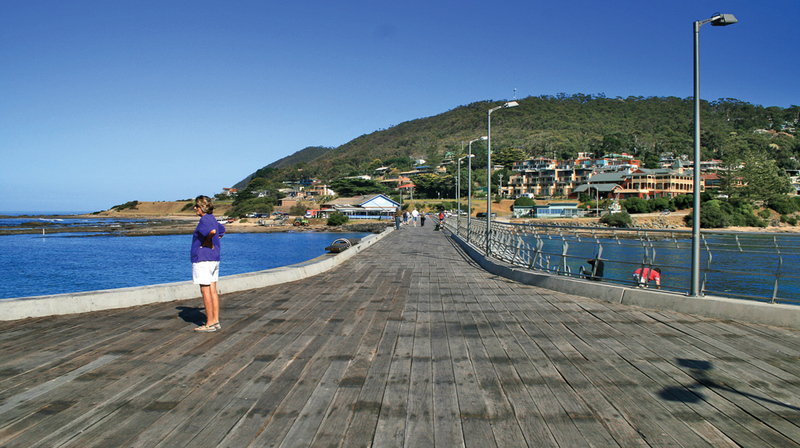 The first Lorne pier was built in 1879 to serve the logging industry. Logging began in Lorne some 20 years earlier and during that time ships had to be beached and propped on the shore while they were loaded for delivery to the Geelong area The industry grew and eventually sawn timbers were delivered to the pier from saw mills near Upper Kalimna falls by teams of horses along timber railed tramlines. 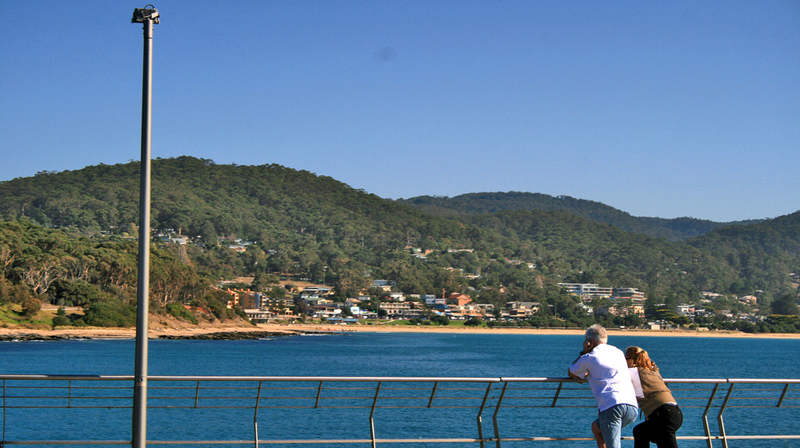 The Lorne pier was also used to land supplies to the small community of Louttit Bay as it was then known. 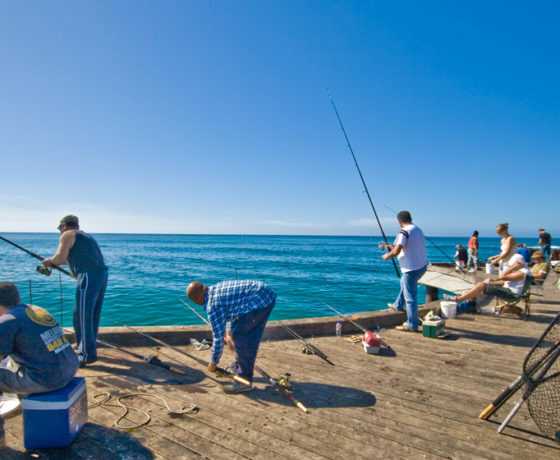 The fishing industry then developed and at its height had about 36 fishing boats and produced about a ton of Couta each day to be processed by the Fishing Co-op. Cranes were used to lift the boats onto the safety of the deck at the end of each day because seas could be rough. There was only room for 25 on deck, however, the rest had to face the weather on moorings. 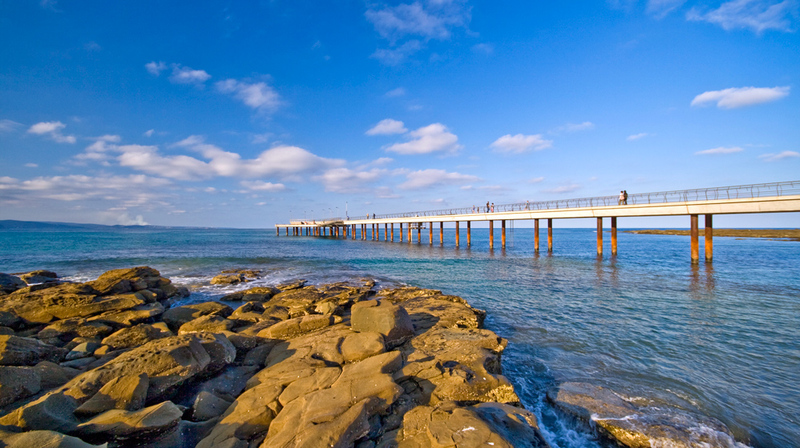 Several different cranes were used in the life of the pier and the original pier itself went through many changes to make it safer and to better meet the requirements of the growing community. At various times it has been L-shaped, triangular, lengthened, and concreted. 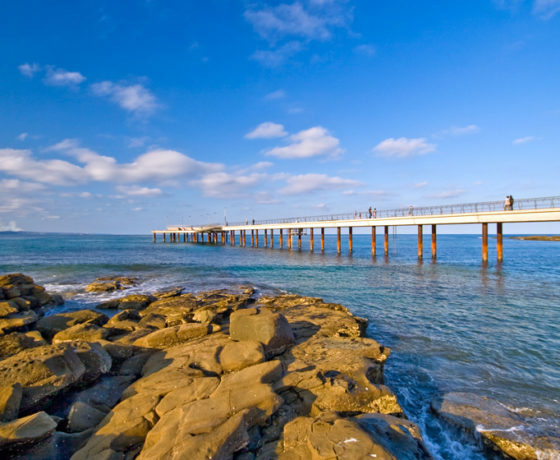 The new pier was conceived nearly 10 years ago when consultants determined that the old pier was deteriorating and some thing needed to be done. The options were to either fix it or replace it with a new one. 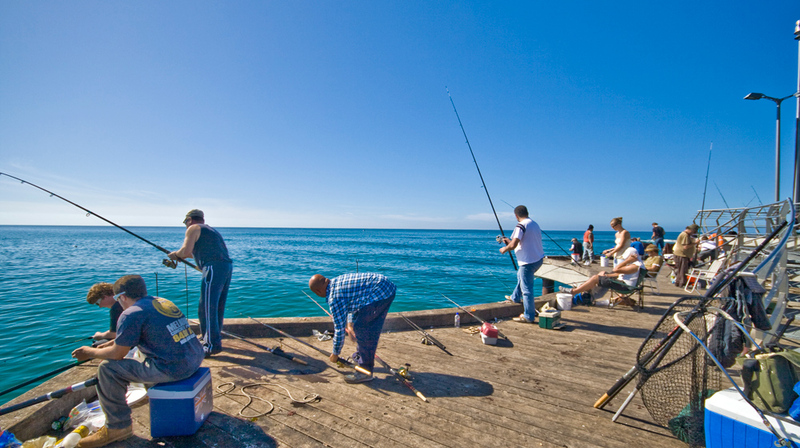 The number of boats operating from the pier had diminished to about 3 and a new pier seemed a remote possibility. 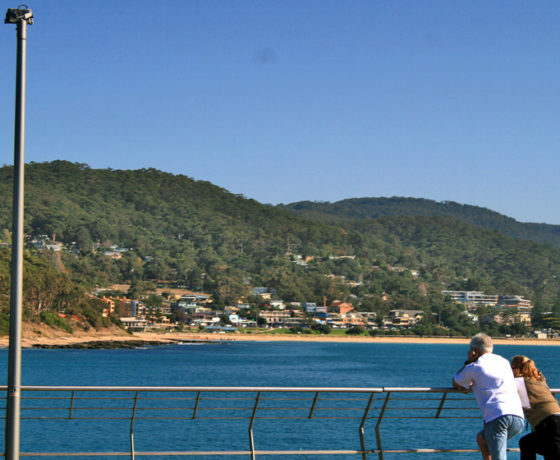 A new pier seemed even more remote when the when the only crane on the pier was condemned as unsafe and the fishing industry in Lorne disappeared overnight. The loss of a working pier did not auger well for the construction of a new one. 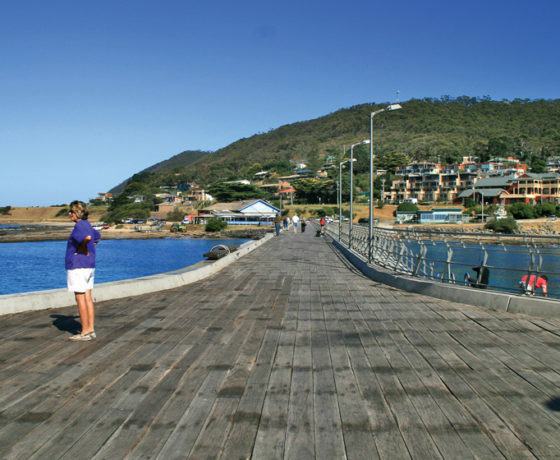 Lorne’s new pier won the approval of the community and also received an Engineering Excellence award in 2007 A short section of the old pier was left as a historical reminder and the old crane that initiated the whole project sits on shore patiently waiting to go in its final resting place.